Like most photographers, I love to travel. Before we had kids, my wife and I lived in Budapest for a little while. While there, we traveled as much as possible, going to 13 countries in just 4 months. With so much travel and not much planning time, I developed a planning system that I think is very efficient. Since that time, I have modified my routine to focus more on photography and have added additional steps available with more time. We just returned from a trip to Costa Rica, marking our nineteenth county, so I thought I would use my preparation for that trip to share my routine and address the results I had. I prepared a lot more than I should have since this was not a normal vacation for us. We only had three days, were travelling with friends and were staying in a resort outside any towns or cities. As such, you will see a lot of my preparation was wasted and I made some mistakes, but hopefully, everyone can learn something useful to add to their own routine. We just returned from a trip to Costa Rica, marking our nineteenth county, so I thought I would use my preparation for that trip to share my routine and address the results I had. I prepared a lot more than I should have since this was not a normal vacation for us. We only had three days, were travelling with friends and were staying in a resort outside any towns or cities. As such, you will see a lot of my preparation was wasted and I made some mistakes, but hopefully, everyone can learn something useful to add to their own routine. IMPORTANT TIP! Since publishing this article, we created the ULTIMATE tool for planning a photography trip. It's called Really Good Photo Spots. It's a free iPhone and iPad app with THOUSANDS of be best photo locations all in one app. Nearly every country in the world has many spots. It's really convenient for travel photography because you can just tap “Spots near me” and BOOM! It lists all the best spots to take pictures near you. Download really Good Photo Spots for the iPhone or iPad right here. The first place I always go is wikitravel.com. This site is awesome for laying all the groundwork. Before I get into the website I read the introductory page for the country or city. This page will give you lots of good insights into the history, culture, climate and general travel information for your location. 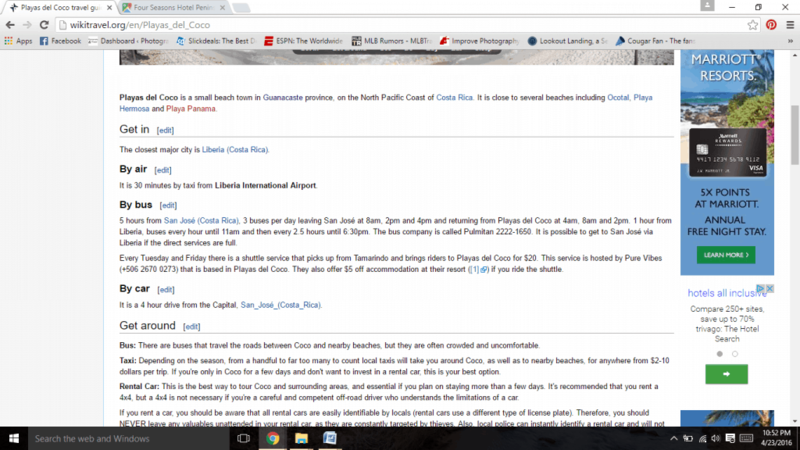 I will spend a lot of time on wikitravel to complete a lot of the tips I am sharing. The next place I look is at the regions. 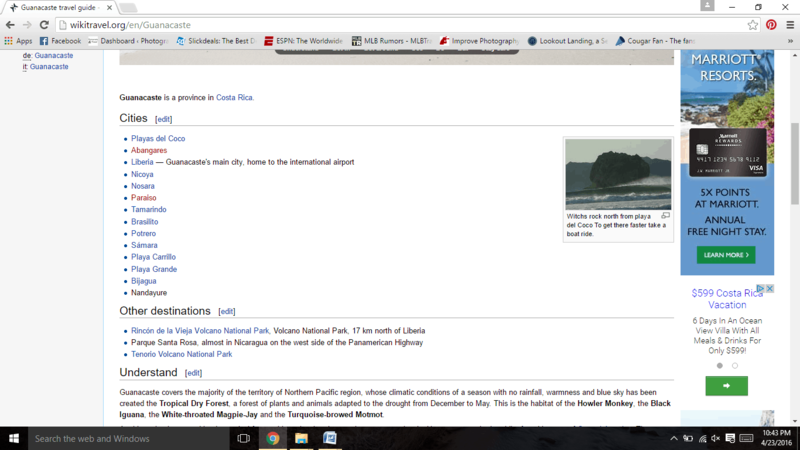 Wikitravel provides a nice basis for breaking your trip down into workable regions. For my trip, we flew into Liberia and stayed at the Hyatt Andaz Papagayo resort on the beach west of Liberia. 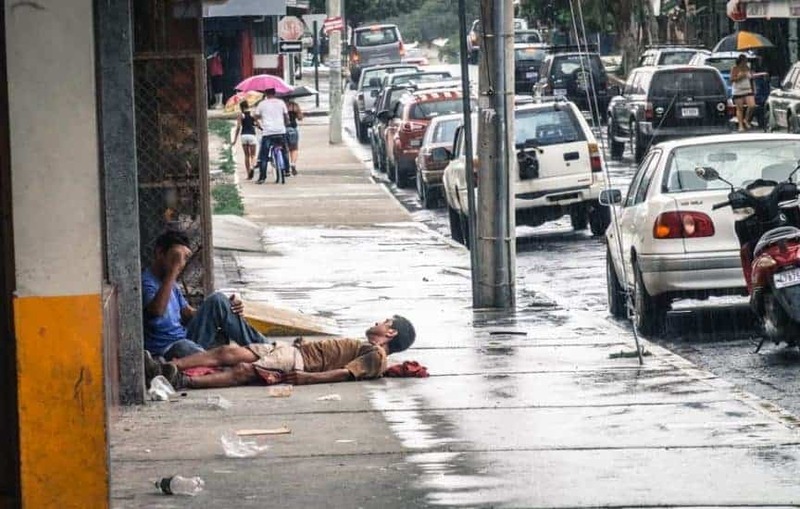 We did not have plans to travel into the rest of Costa Rica because we only had four days. That being the case, I only really looked at the Guanacaste region. Once into the region page, that area is broken up into cities and other areas that will help you further break down your trip into different areas. If you are going to a big city, it will break it into manageable areas, which made planning a Boston trip much easier a couple years back. This page also gives you more general information about the region, highlight things to do and see and places to eat. Now it is time to look at the cities or areas one by one. I like to look at a map so I can group these into general directions that, by this time, I have put into a word document. In the city page, you finally start getting into the details and start figuring out where you want to go. This is where I get all the information for my basic outline of potential travel spots. This page also provides good information on how to get to a location, what to do or see, shopping, how to get around and places to eat. I will read through this page, look at some links and google some of the places to make my decision whether this is someplace worth adding to my outline. If I include it on my list, I will put in some useful information to describe the area or travel tips I think will be helpful. This is also when I start adding specific locations to visit or photograph. I will add specific details about locations to my list, usually indicating if there is something unique (like trees in the water) that I want to shoot, or if it is particularly good for sunset or sunrise or if there is a certain day or time that I should go. I also like to include how far away it is from where I am staying (or from another location) so it is easier to make choices later on and avoid additional time to look that up. It is important to add this information as you find it rather than wasting a lot of time trying to go back and find it later. If I don't have my outline or cannot add it for whatever reason, I will either bookmark the site or pin it on pinterest to find it easily again. By now, my outline is starting to really take shape. 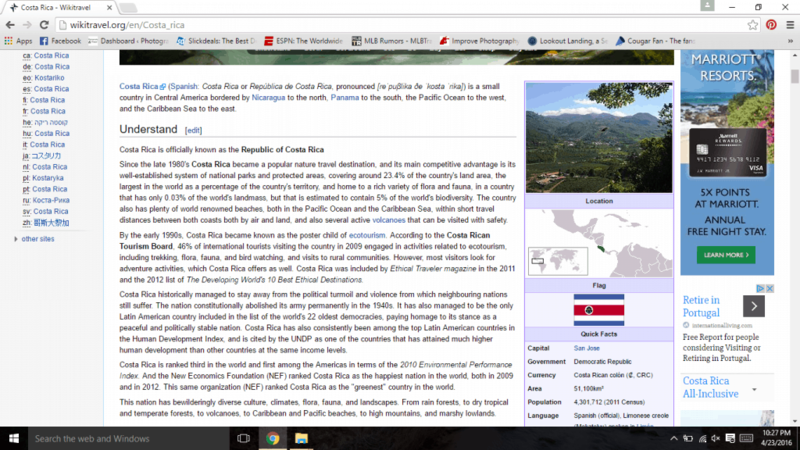 As I continue scrolling through wikitravel, I find links that I think will be useful, like the one below for a tour company. I usually will just bookmark those so I can come back once I have my outline in good shape and have an understanding for what is available and where it is at. Another good option so you don't have a hundred bookmarks is pinterest. I believe pinterest is a vastly under-utilized tool for photographers and travelers. I use it to tag and organize a ton of photography articles and every cool place on this planet that I can find. As such, my pinterest is the next place I go to find locations. Because I have been using pinterest for years to mark websites for cool places on organized boards for just about every location, there should hopefully be some cool new places already pinned. If you are planning any kind of vacation, check out the link and see if there are any places I have already pinned for you. 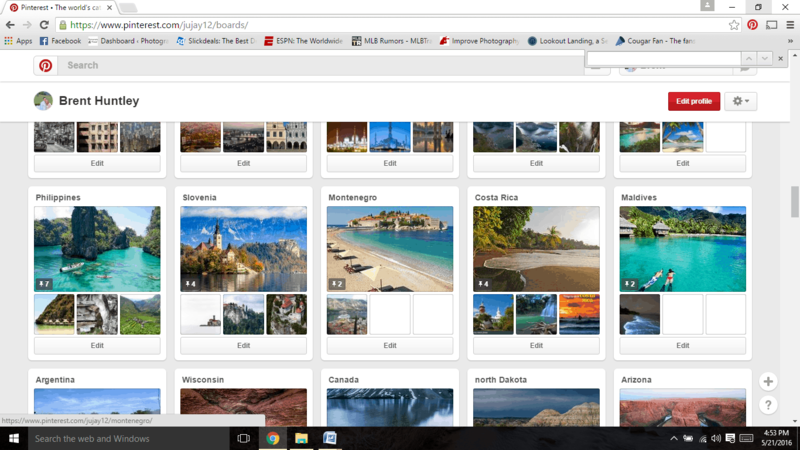 Another great thing about pinterest is you can add stuff to it as you are looking, and the pinterest app makes for easy searching when you have 5-10 minutes to kill and want to find some new places to add to your list later. I will add a bunch of places throughout the day and then actually read the articles at night as I am looking up more places. After Pinterest, I usually go to some of my favorite photography websites. 500px, while not my favorite site for posting, is usually my starting place to see what other photographers have found in the location where I am headed. I will usually start somewhat narrow and then expand out my search. 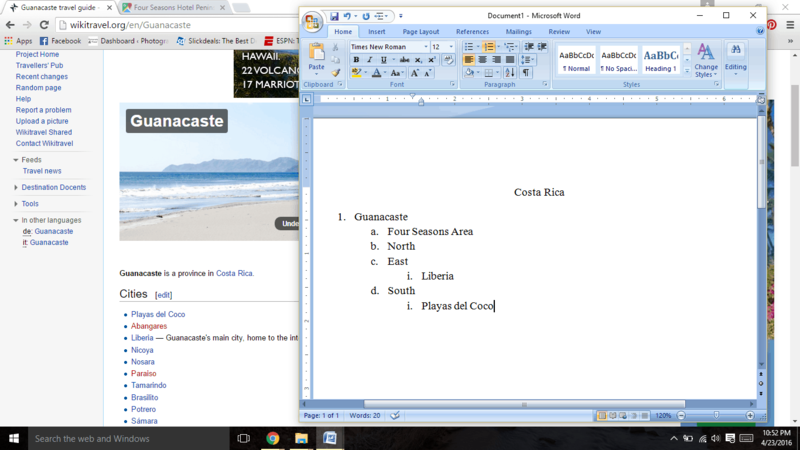 For this vacation, I started by searching some of the major cities or areas I was looking at, like Liberia and Granada. I will also look at some of the specific places on my list to start planning shots. Some places I will start looking that might be promising include Playas del Coco and Llano de Cortes waterfall. This is also where I start pinning photos, which is easy from 500px, to look at later when I am planning more in depth for a location. If needed, I will then broaden my search to a region or even Country if I am not having much success. When you get all the way out to searching a country, like all of Costa Rica, you have to be careful looking at maps to determine if the location is somewhere you can visit. Once I have thoroughly exhausted 500px, I look at some other popular photography websites that I have not found quite as helpful, but still worth a look. My next favorite is Pixoto. I feel like Pixoto gives a lot less quantity so you will not find as many useful locations, but the quality of images is still pretty good. On the other hand, flickr gives you a ton of images, but the quality is hit or miss. The one nice thing about flickr is the map below each photo is really helpful when you are looking for a certain region like I am in Costa Rica since we are only going to be in the northwest region. Finally, I will look on instagram. There is going to be a lot of junk on instagram, but it is really convenient because you can do it on your phone when you are in the car (not driving) or just sitting around. It was not useful for Costa Rica as it was full of girls “wanting to chat” unfortunately. The most annoying thing about using instagram for planning is there is no way (that I know of) to save posts or tag them to use later when you are on the computer planning. Once I have exhausted my usual go-to resources, I fall back to regular google searches. I will do a few different types of searches. I will search regions or cities to identify any locations I have not already found and I will google specific locations to determine different angles to shoot and to determine logistical information such as travel directions, opening/closing times and so forth. Once I am confident I have all the locations I want to visit, I make a google map. To do this, go to google maps and make sure you are signed into google. 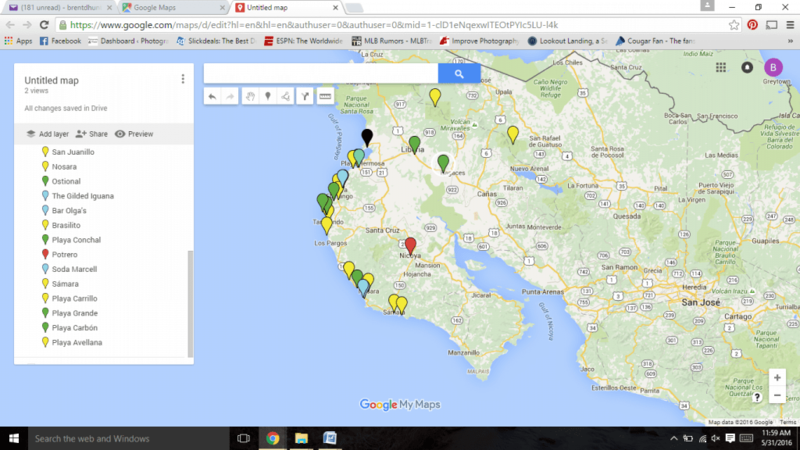 On the menu, go to “my places,” then maps and create new map. Once you are in the map, just start searching your places and adding markers to them. Once I have all my markers laid out, I go through and color coordinate them. I use green markers for the top places and blue markers for food. 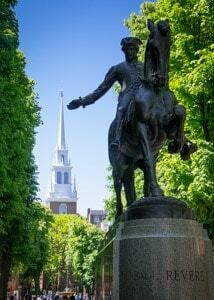 Walking the Freedom Trail isn't as much fun when you are freezing! It is always important to check the weather reports where you will be going. Even if you are planning well in advance, you can look at averages to get a general feel for what you will be able to do. Living in Las Vegas, I have developed the nasty habit of ignoring the weather. I learned my lesson the hard way when I arrived in Boston in March. Having brought nothing but t-shirts and shorts because that was what I was used to, I was greeting with cold rain storms for most of my trip. 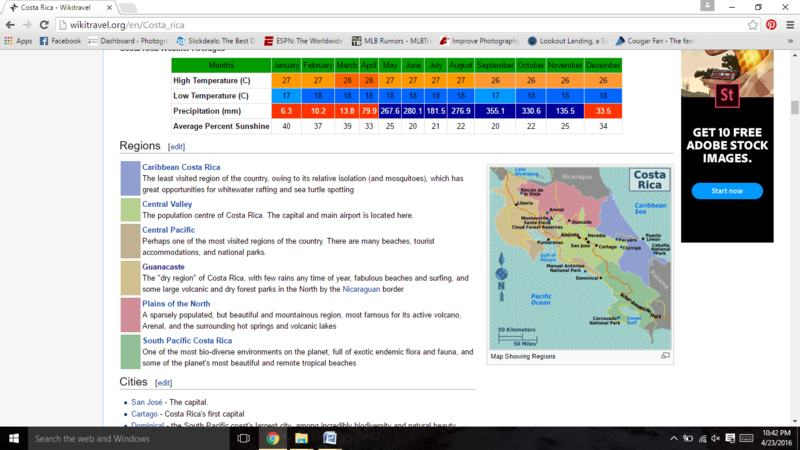 For Costa Rica, the weather reports all forecasted rain and thunder storms for our entire trip. With that information, I made sure to pack appropriate and included things like the Agua strap/bag from Miggo. The Agua will be part of my upcoming strap review article, but it was awesome for the rain and sand on this vacation. I also looked at locations where I could shoot thunderstorms and have some protection from the rain. Since I was traveling with my wife and kids, I also was sure to look for places where we could spend more time in the car as opposed to walking. As it turned out, we did see rain everyday, but it was never for very long so the weather did not play a huge factor in our trip. It did prevent me from getting to spend a lot of time walking around Liberia and photographing the urban grunginess I was looking forward to, but the only other times we hit a lot of rain was driving in the car and hiking through a rain forest. Because we were prepared, it was not a big deal. Our LONG hike through the rain forest would not have been enjoyable if we had not prepared for the downpours by bringing extra clothes/swimsuits for the kids, breathable clothes for the adults and protective covers for camera gear. 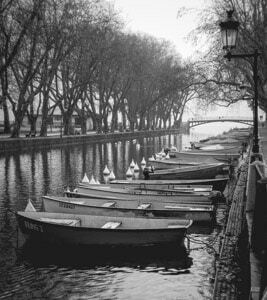 Annecy was one of our favorite places in Europe and we almost missed it because we did not understand the transportation. No matter where you are going, you will be travelling by foot, public transportation or car. Look up the most effective means of transportation based on your location and circumstances. On a trip to Athens, I had looked up train and bus routes to get around town so I knew how to use each for wherever we were headed. This proved a huge blessing on our last day when we made it to the train station and found that a labor strike would prevent us from taking the train to the airport. We barely had enough time to take the three different buses and a subway to get us to the airport in time for our flight to Rome. Failing to adequately prepare also proved nearly disastrous in Geneva when our bus to Annecy, France did not show up where we thought. After searching everywhere, I jumped on a train that had been sitting at the station for ten minutes without telling my wife. Thinking I could jump on quickly and ask someone for help without an issue, I panicked as the doors shut behind me and I was on board for a 15 minute ride to the next station. Finally, I made it back to the bus station almost an hour later to my crying wife, who I had left without any money, credit cards or passports. Luckily for us, our bus showed up an hour late and we had an amazing day in Annecy. This is a tough one that I really have little practice with doing, but I am trying to determine expected cloud cover through some weather websites and radars. Having good clouds makes all the difference in landscape photography and can help you plan where you want to go. If it looks like you will have good clouds during the day, you might be able to get some great long exposures. If you have a day where there are not going to be any clouds at sunset, that is they day you plan for a fancy dinner with your spouse rather than ditching them for the sunset shoot. If you know you are going to have a lot of clouds, you can probably forget shooting the stars or milky way. It was well after sunrise when the angle was right to illuminate the back wall in this frame. As we all know, the best landscape images are usually made at sunrise or sunset. Getting those images requires some prior research. You need to know when and where the sun is going to rise and set. I like to use the photographer's ephemeris on my computer or the Exstate Golden Hour app on my phone. There are some key issues to remember when looking at sunset and sunrises. First, do not forget to plan adequate time to wake up (sunrise) or eat (sunset), travel to the location and scout for good compositions. Second, determine where the sun is going to be in location to what you want to shoot. If you want the sun behind a barn, make sure you know if it is even possible to have the sun in the image and whether it is going to be a setting or rising sun that makes it possible. Finally, plan for your landscape. If you are going to be hiking the narrows in Zion, there is no point to being there for sunrise as you cannot see it and the canyon will be too dark to shoot. 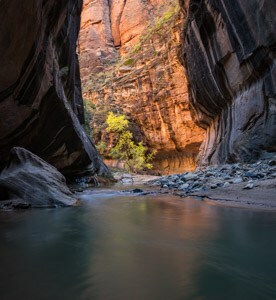 When we did the narrows last year for the Improve Photography free workshop, we slept in a little and did not start our hike until 8:00 or 9:00 so we were there at the right time for the sun to cast golden light on the canyon walls. Unfortunately, I learned quickly I would not be getting any great sunrise/sunset shots in Costa Rica. The sunrise was scheduled for 5:00 a.m and the beaches at the resort pointed south, meaning it would take a decent amount of travel, scouting an unknown location and scheduling the valet to bring my car early. If I planned on helping my wife at all with the kids during this vacation (which was supposed to be a family vacation), I knew sunrises were off the table. The sunset was scheduled for an early 5:00 p.m., which would not work with dinner and napping schedules. Knowing this ahead of time, I focused more on scouting locations that did not require a good sunset/sunrise. It is pretty easy to predict what phase the moon will be in during your travels. Knowing this can help you plan what kind of photography you can do. If you are going to have a big full moon, you shouldn't plan on shooting the night sky (which, unfortunately, Jim has already told those of us going to Glacier in September). If you are going international, plan well ahead for your currency. The easiest thing to do is pull money ahead of time from your bank (you may get a better rate just withdrawing from an atm, but it can be tough finding an atm in a foreign country when you need cash). This can take more than a few days so plan ahead. I primarily use a credit card without a foreign-transaction fee, but you will always want some cash for small stores, street vendors and entrance fees. We were too late getting to the bank before leaving for Costa Rica (we were buying and selling a house at the time so a lot of planning fell through) and ended up paying more for things because we only had U.S. dollars. We had done enough research to know that paying in dollars was available, even at a bad exchange rate, so we avoided the heavy fees charged by the airport places. We made that mistake in Mexico and paid something like a twenty percent fee. Make sure you understand your credit/debit card policies. Many credit cards charge a foreign transaction fee and different banks charge different fees for using foreign atms. If you know all those fees, you can make educated decisions when you are deciding how to spend your money. There are other tricky things you can learn to save money if you do your research. For example, if you are headed to Cuba from the United States, you will have no way to obtain Cuban Pesos before traveling. Instead of converting your USD when you get to Cuba, take Euros with you as you get a much better exchange rate on Euros than USD in Cuba. That little tip can surprisingly save you quite a bit of money. Finally, make sure you understand the conversion rates to ensure you have a grasp of how much you are spending. We went to Costa Rica with some friends that travel way more frequently than we do (it was thanks to their Hyatt Diamond Plus status and points we stayed in a $700 suite at the 5-star Andaz resort or only $80 per night! 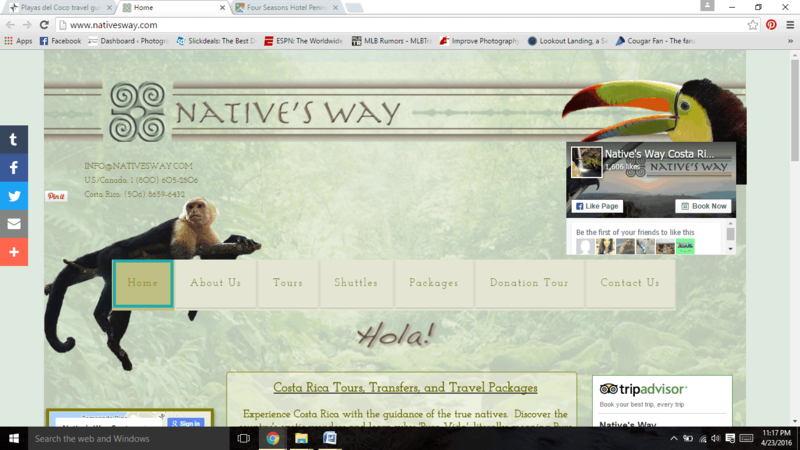 ), and they warned us ahead of time (they went a few days ahead of us) Costa Rica was not cheap like one would expect. Without looking at the exchange rate, they spent $100 on groceries that would have been about $30 had they bought them in the U.S. That was good to know as we had time to buy plenty of snack food for our kids before we left. If we had been traveling to somewhere like Romania (cheapest place we have been), it would have been stupid to pack anything extra as it would be much cheaper to buy it there. You won't see many scenes like this without a car. This was on our drive to Viscri, Romania. I think renting a car for at least part of any vacation is worth however much it costs. My wife and I lived in Europe for four months during my last year of law school. My classes were easy so we spent as much time as possible traveling. After hitting a lot of the major cities like London, Athens and Rome, we planned a trip to Romania. More accurately, we tagged along on a trip with the couple we were living with. 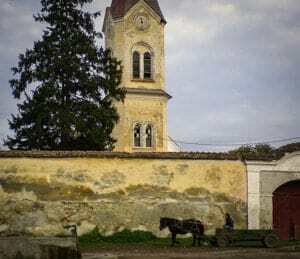 Instead of flying into a big city and spending all our time in the city, we flew into Targu Mures, rented a car and spent the long weekend driving the countryside of Transylvania. This experience was eye opening. We got to see and do so much more driving than we would have had we stayed in a bigger city without a car. Now when we travel, we always try to rent a car. In our trip to Boston, we rented a car for just one day to drive down to Cape Cod. It was an awesome addition to our vacation. In Mexico, the rental car was pretty cheap and made it a lot easier to get from our resort in San Jose del Cabo to Cabo San Lucas and various places where we had planned activities. You will also be surprised at how little the net cost of a rental car may be when you factor in airport shuttles, cab rides or other transportation. In Costa Rica, the shuttle to our resort was going to cost us $60 each way. We rented a mid-size car for $137 after all taxes and fees. That means we enjoyed a good rental car for our entire vacation for the net cost of $17 plus $30 in gas and tips for the valet. With the rental car, we were able to drive up to a volcano and rain forest, drive into town and visit some different beaches without any hassle of arranging transportation. Without a rental car, we would not have been able to do as much as we did and we likely would have ended up spending more money on transportation than we did on the rental car. In many countries, renting a car can be a headache full of hidden charges and pushy salespeople. Doing your research ahead of time and actually calling the office where you will be renting can save a lot of headaches and money. When we went to Mexico last year, I had done all my research and knew what extra insurance was mandatory and how much it would cost. Because of that, we were the only ones at the rental office not fighting with salespeople over the fees. On this trip to Costa Rica, I knew that insurance was mandatory so I bought the insurance package with my travelocity booking. To be safe, I emailed the local office in Liberia and they responded within hours. I am glad I did because they told me they don't accept travelocity insurance and that I should just bring a letter from my credit card company explaining the insurance coverage on the card. They also explained that the only mandatory insurance I had to buy through them was $12 per day. Because of this advice, I cancelled the $11 per day insurance I had from Travelocity, got my credit card letter and paid the $12 per day fee. 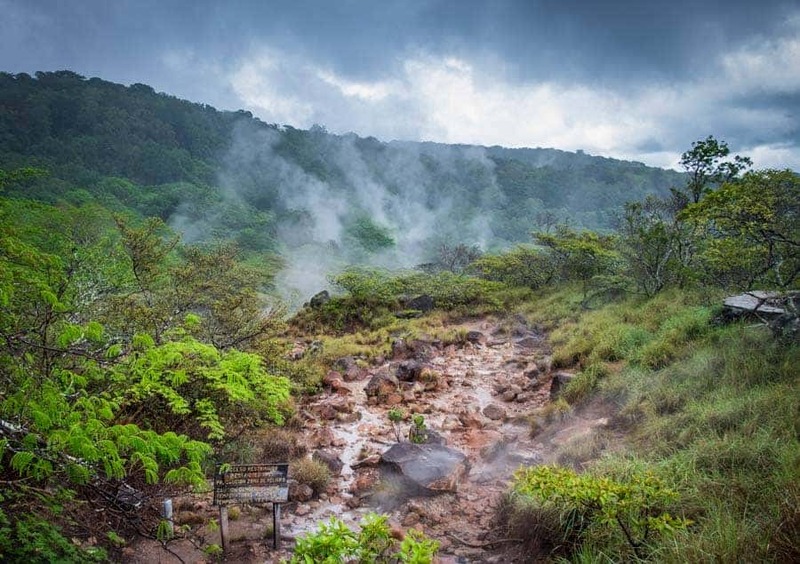 This simple email saved me $55 from travelocity, whatever the added cost I would have paid for not having my credit card insurance letter and the headache of unexpected costs and frustration after arriving in Costa Rica on a late flight. It also made the experience much more pleasant because I already knew what I wanted and did not have to listen to the “scary” sales pitch the salesman gave me. In the end, we only paid $15 more than expected because of an airport tax we did not know about. I may be old school, but I like to print out hard copies of all my boarding passes, hotel and car reservations. 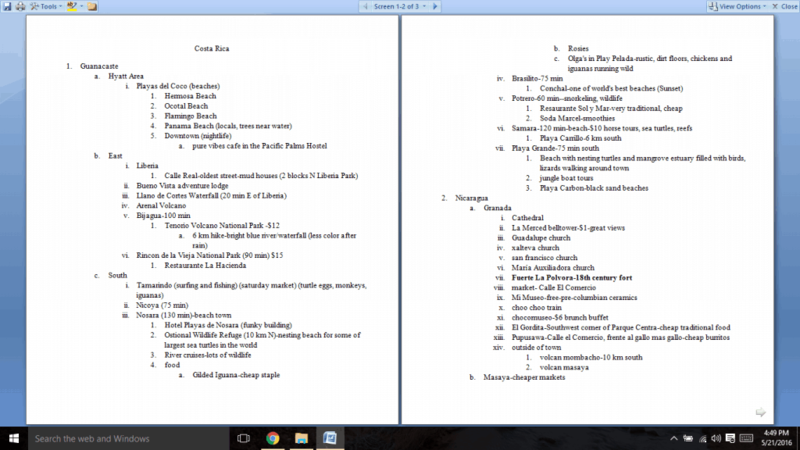 I also like to print out maps, my location outline and anything else that I have prepared. I put all these in a folder and store it with my laptop. I like to have some of the documents, like my location outline, printed out by area so I can put an area in my pocket for the day I am going to that area. With technology where it is at these days, it would be stupid to not have downloaded copies on your phone as well. In case you lose something, leave it at the hotel or your plans change, you will want access to everything on your phone, downloaded offline, so you can access it at all times. I forgot to download copies of my location outline to my phone before we went to Costa Rica and it led to some unfortunate experiences. We drove into Liberia to see the sites only to learn that I had lost my location outline with all the details of what there was to do in Liberia. We drove around for a while looking for interesting sites before ultimately deciding it was not worth it since the rain was so bad. It turned bad again the next day when we were out driving to different beaches and beach towns. We changed our plans slightly and I only had my google map showing me different locations. Unfortunately, I did not have my information about specific locations so we were not able to determine where certain things were that we wanted to see. I left my family in the car for about 2 minutes so I could do some street photography since we did not find much else of interest in Liberia. If you are not going to have data available, there are apps that allow you to download maps and use gps without using your phone's data. I have heard many recommended that charge you per map, but our friends recommended the maps.me app. We downloaded the full map of costa rica for free and it worked (mostly) great the whole time we were there. Extra charging packs and phone chargers are so cheap now, it makes sense to throw a couple in your bag. You do not want to need access to gps, texting, calling or documents and not have battery power. We packed three extra chargers in my wife's backpack. When we were out driving, my phone ran low from the gps usage just as we were making plans to meet our friends for dinner. We went to plug it into a charger only to realize we had forgotten the actual cord to plug the phone into the charger. It made getting back to the hotel and communicating with our friends very difficult. Phone plans have changed a lot in the past few years. When my wife and I moved to Europe, we did not even take our cell phones with us because they would have had no use. Now, you can take your phone because, at a minimum, you can use it on wi fi (unless you still rock an old school phone like my wife), but you may have other options depending on your plan or carrier. I have t mobile and their standard plan allows you to text without additional fees from some countries. I can also make phone calls over wi fi, which is convenient when travelling without cellular service. Some plans even allow data usage. Even if your plan does not offer any of the above, it is worth knowing how much the charges are. For example, it might be worth a dollar to call your wife when you accidentally board a train without her and are on your way out of the city.